Since the past decade, online rummy games have gained immense popularity among the masses. While playing rummy online is fun, choosing the best portal to do so is crucial. As claimed by its lakhs of esteemed users, KhelPlay Rummy is often regarded as the biggest, highly advanced, most loved, transparent, and safest online portals to play free online rummy card games. This website has a user-friendly interface and also keeps player information confidential. Also, it provides complete transparency of entire operations including withdrawals and deposits. Since KhelPlay Rummy steadfastly adheres to responsible gaming practices, it ensures a safe and fair gaming experience for all. At KhelPlay Rummy, you can enjoy 13 cards Indian rummy and 21 cards Indian rummy games. 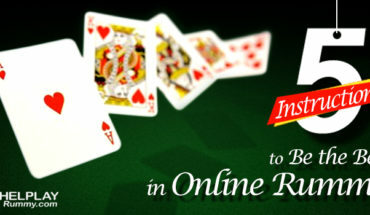 In 13 cards Indian rummy, the website offers three different formats of the games – Point rummy, Deals rummy, and Pool rummy. Khelplayrummy.com also hosts a number of tournaments at regular intervals, which can be enjoyed for free or with a small entry fee. The Daily Freeroll Tournament has no entry fee for cash players and can be played on your PC or mobile app. It is held every day at 3:05 PM and the total Prize amount is up to Rs. 5,000 which will be distributed among 180 winners. Though there are no holds barred for this tournament, not more than 1500 players can participate in it. 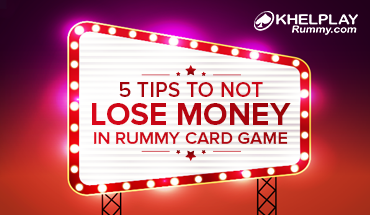 Imagine this – you recommend KhelPlay Rummy to your friend. He/she joins it, and you win cash! Exciting, isn’t it? KhelPlay Rummy has this amazing offer this month wherein referring Friends to KhelPlay Rummy on select days gives you up to Rs. 2000 per referral, after your friend makes his/her first deposit. So, the more you refer, the more you earn. As a token of appreciation, KhelPlay Rummy provides Loyalty Points that can be redeemed for Cash and Merchandise. As part of an ongoing Special Loyalty offer valid till 18th Dec, you can win cash and bonus of up to Rs. 4000 by redeeming your Loyalty Points. This winning can be used to play cash games and, in turn, you can win more Loyalty Points. Every Thursday is fun day at KhelPlay Rummy as it conducts a unique and thrilling tournament. The buy-in for this tournament is zero, and it can be played on both PC & Mobile app. The tournament begins at 9:00 pm and registration closes five minutes before the start of that tournament. Prize amount for every Thursday Thunder Tournament is Rs. 5000* and a total monthly cash prize of Rs. 25000* can be won playing this Tournament.
! You can quickly register yourself and win free cash credit to your account instantly upon depositing. Don’t wait. Register & deposit now! I must say, if you want to play rummy online, then play it on KhelPlay Rummy. It offers so much variety that you will never get bored. This website offers a number of tournaments that are perfect for making money and keep your mind sharp. The Daily Freeroll Tournament is amazing. I got to compete amongst 1500 players and show my rummy skills. The user-friendly interface of the website will keep you engaged always. Till now my experience on KhelPlay has been safe and enjoyable without any problems. It has been my go-to online portal to win some cash. When it comes to playing rummy online games, KhelPlay Rummy has given me the best experience. It is the perfect choice for me to win some cash on a day-to-day basis. 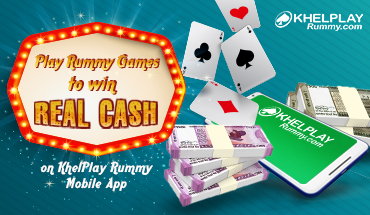 With a number of tournaments, KhelPlay rummy gives you the opportunity to win cash in your free time. I started playing rummy to keep my mind tension-free whenever I took a break from work. It has proven to be an excellent stress-buster for me. The KhelPlay Rummy website has a given me a transparent and safe experience of online rummy. Moreover, the different formats of rummy offered by this website extent my knowledge. KhelPlay rummy is an excellent website for a secure and transparent rummy experience. It offers you a number of different formats for playing rummy. I loved the interface of the website. It was easy to change formats. Also, I had a great experience in playing Thursday Thunder Tournament. It is my favorite pass time on Thursdays. KhelPlay is my go-to choice to win some cash during my free time. 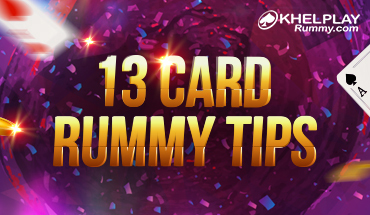 Moreover, the different formats of the game keep me engaged, so I can try out different rummy games to test my skills and win some instant cash.